Aoi Matsuri: Stunning Festival Of Kyoto From The Heian Era! If you love the traditional, ancient side of Japan, you will love this festival of the former capital Kyoto! Aoi Matsuri is one of the three main festivals of Kyoto (the other two being the Gion Matsuri and the Jidai Matsuri). It's also called the Kamo Matsuri in reference to the two ancient shrines in the northern part of the city. It is one of the oldest festivals in Japan, dating back to the Heian Era (8th century). It's held every year on the 15th of May. 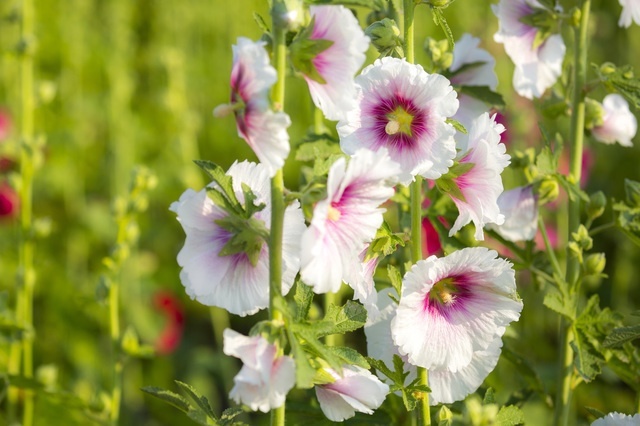 Aoi refers to the hollyhock. The festival highlight is a procession of about 500 people wearing kimonos of the Heian Era and carrying floats and umbrellas adorned with hollyhocks. 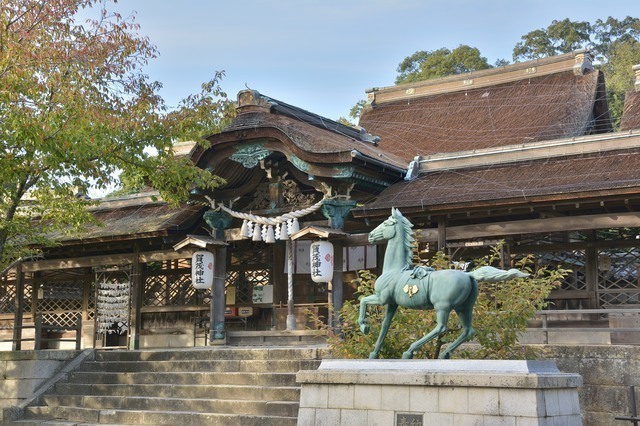 According to ancient records, the emperor of the time sent a horseback-riding messenger to the Kamo shrine to appease the gods from the epidemics that were ravaging the city. It was believed that the galloping horse put on such a show that the gods ended the epidemics. The equestrian show was repeated from then on. To this day, this is one of the highlights of the festival. 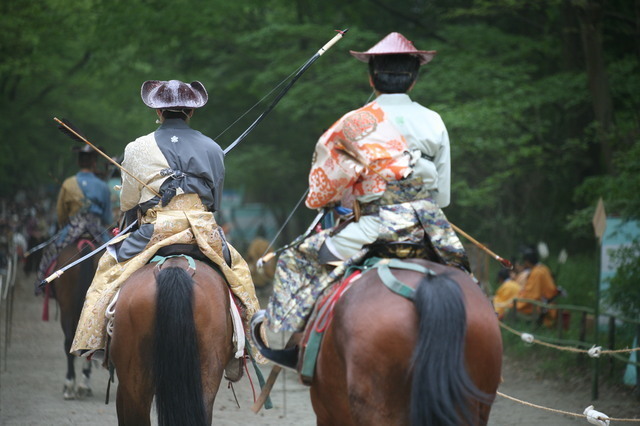 Seeing the archer in traditional Heian clothing riding the horse and performing archery is quite amazing! 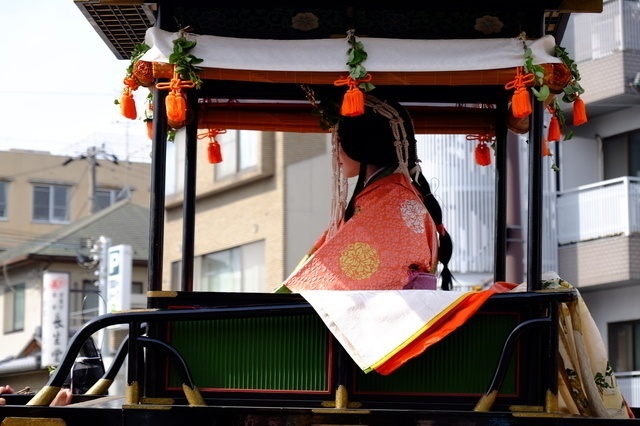 Enjoy the festival by gathering along the main streets of Kyoto and watching the procession go by. The place gets very crowded at good viewing spots so you better get their early! 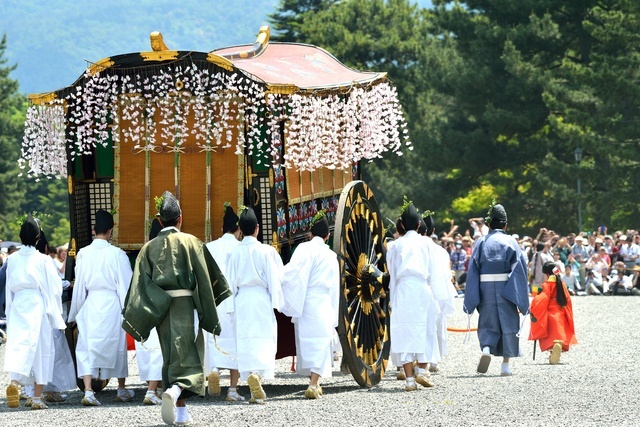 The procession starts at the former imperial palace at 10:30 on the 15th of May and goes up to the Kamo Shrines. 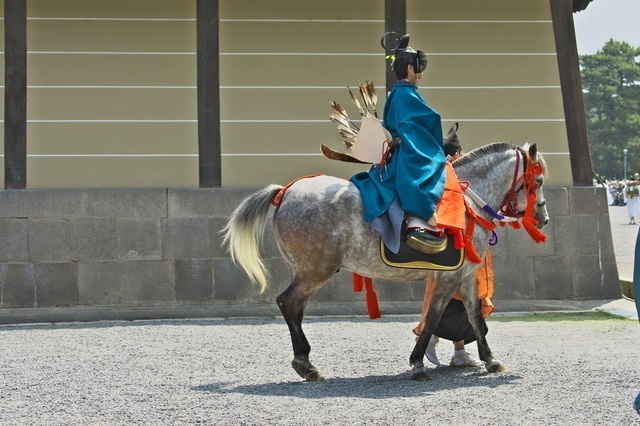 At the Kamo Shrines, the horseback riding messenger and the saio-dai will perform a ritual that is also very interesting to watch! If you want to take part in an ancient festival and learn more about the traditional, ritualistic side of Japan, this is an event you must attend if you are in Kyoto in the middle of May! The city has so much to offer.